A re-telling of the myth and even more remarkable reality behind the handy, all-purpose, pocket-sized A-Z Street Guide of 23,000 streets (with house numbers). Gwyneth joined forces with celebrated playwright/author Diane Samuels (Kindertransport) in exploring the trail left by Phyllis Pearsall’s footsteps to relate in words, music and song the moving story of how she embraced a city and faced her mentor and nemesis to find her own feet. 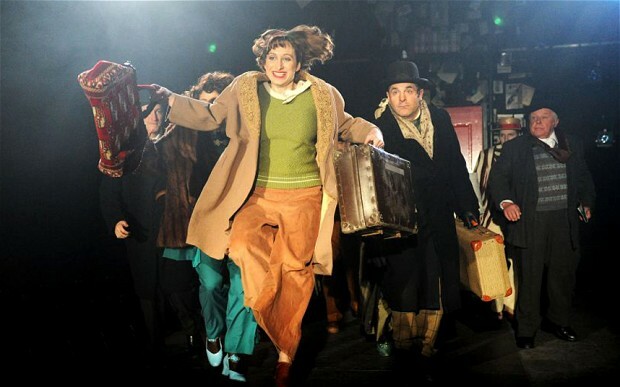 A production at Southwark Playhouse, Feb-Mar 2014, starred Isy Suttie (Peep Show/Shameless) as the pioneering Mrs P, Tony Award-winner Frances Ruffelle (Les Miserables, Pippin, Piaf) as her mother, joint Olivier Award-winner Michael Matus (Martin Guerre, The Sound of Music) as Phyllis’ father, the map publisher Alexander “Sandor” Gross, and Stuart Matthew Price (Parade, Shrek) as Phyllis’ brother Tony Gross. Directed by Olivier-nominated Sam Buntrock. Original London Cast Recording available here. A musical exploring the life and works of French surrealist, satirist and polymath Boris Vian. Originally conceived as a Youth Music Theatre commission with performances at the Plymouth Barbican, Aug 2013 (choreography and visual design Juliette Jeanclaude). Further development and performances planned 2016. 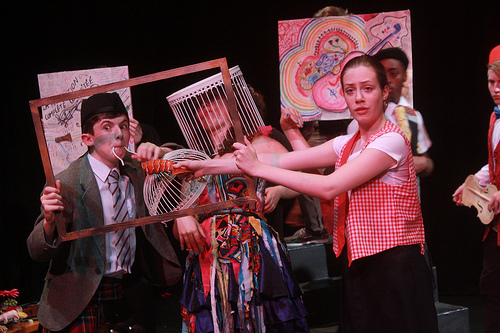 A one-act musical adaptation of darkly comic play Hand Witch of the Second Stage by Peter Barnes. Workshop and industry showcase at Theatre Royal, Drury Lane, 2012 (dir. Matt Ryan). Winner of the S & S Award Special Commendation, 2012.